Question: When is a fairway wood not a fairway wood? Answer, when it's not designed for the fairway. That is the idea behind Callaway's X2 Hot Deep range of fairway woods. 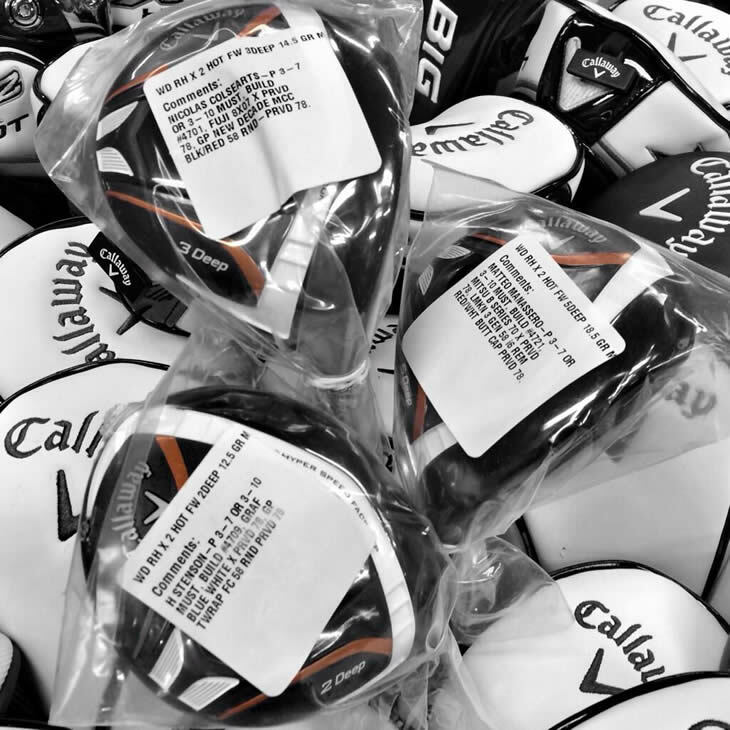 Inspiration for the new design came from feedback of Tour players who asked Callaway designer Alan Hocknell and his team to produce a larger, low-spinning fairway that is longer off the tee than a traditional fairway wood, but more workable than a driver. The key moment in the birth of the Deep fairway wood came during a meeting between Hocknell and Phil Mickelson. Phil had been testing Callaway's X Hot Pro fairway woods. He was immediately impressed with the feel and performance of the woods, but wanted to know how far Callaway could push the design. Fast forward a few months to the 2013 Masters and Phil showed up without a driver in his bag. His solution, the Callaway X Hot Phrankenwood. Some called it a small driver, others an oversized fairway wood. Whatever you call it, the 250cc, 8.5-degree wood set in motion the idea behind the new X2 Hot Deep range. 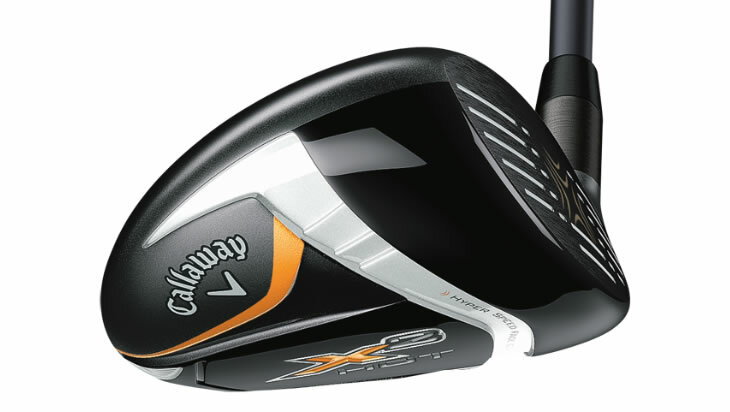 Whilst Callaway did launch a X Hot 3Deep fairway wood, this year they are expanding their offering. Players can now choose from a 2, 3 or 5 Deep model. Each 13°, 14.5° and 18.5° model offers the high speed, low spin performance that Phil and many other players were immediately interested in. Already this year, Phil, Henrik Stenson, Matteo Mannasero and Nicolas Colsaerts, to name but a few, have a X2 Hot Deep fairway of some sort in their arsenal. Phil Mickelson put the 3Deep design on the map when he used a 2013 model at The Open Championship at Muirfield. Facing a stiff breeze on the 575-yard 17th hole, Phil hit 3Deep off the tee and then again off the fairway, threading his approach onto the green to make a clinching birdie. 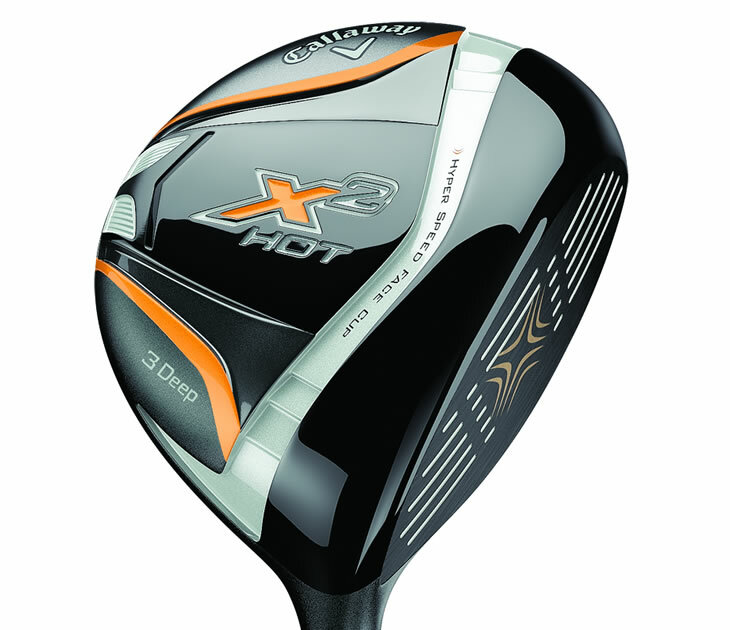 From a construction point of view, the X2 Hot Deep is much like the X2 Hot fairway woods. They feature the same, thinner, faster Hyper Steel Face Cup and larger internal standing wave. The difference in the Deep models, as the name suggests, is that the head is deeper. Where the X2 Hot Pro 3-wood measures 135cc, the X2 Hot 3Deep is 35% larger in size at 182cc. Also, like the X2 Hot Pro fairway woods, the Deep models sit with an open face angle at address, a look preferred by Tour players. One other minor difference between the ranges comes in the form of the shaft. The standard X2 Hot fairway wood comes fitted with Aldila's Tour Blue shaft, whereas the X2 Hot Deep comes with the slightly heavier, lower torque Aldila Tour Green shaft which has a higher kick-point and is more suited to players with faster swing speeds.